Dental implants are a great way to support single tooth, partial, or complete dentures, without the messy adhesives or uncomfortable bite you typically run into with dentures, crowns, or bridges. If you want to keep your smile looking great but suffer from loose dentures or missing teeth, dental implants are a great option. For over 15 years Dr. Allison and the team at Susquehanna Dental Arts have also provided mini dental implants for those who want a better solution. We’ve become the experts in mini implants, and have successfully trademarked our own Premium Comfort-Snap Dentures™. If you’d like to learn more about mini dental implants, we encourage you to check out the FAQs below that cover some of the most common questions we receive. Regular and mini dental implants are made with what material? These dental implants are made with titanium, which is a hypoallergenic material that allows your jawbone to fuse with it. What is one main difference between a regular and mini implant? The length of time for healing with mini implants is much shorter than the 4-6 months you’ll see with regular dental implants. Dentures can also be fitted immediately with the mini dental implants. In most cases, which implant is ideal for patients with bone loss? For patients with bone loss, typically the mini implants are ideal since they can be placed in areas with much narrower bone. Is one type of implant more expensive than the other? Regular dental implants cost more. We hope these answer your own questions regarding mini dental implants. If this blog hasn’t addressed a question or concern you have, we’d be happy to consult with you to help you determine which option is best for restoring your smile. 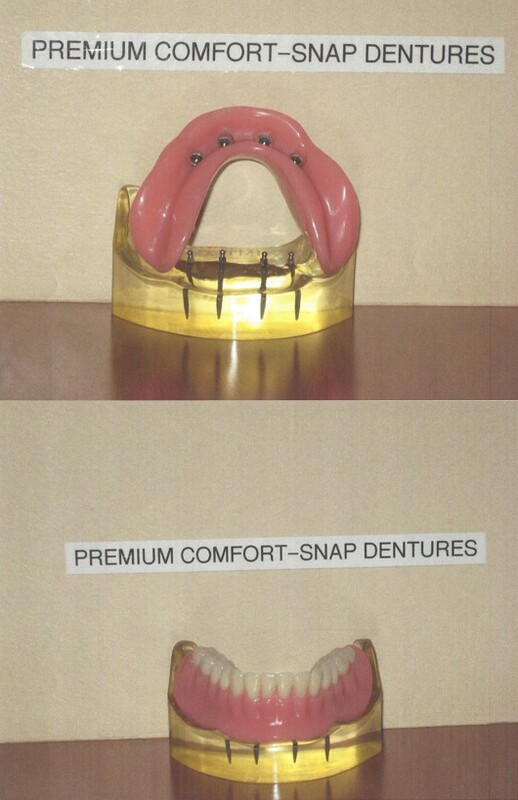 Posted in Dental Implants, Informational and tagged Dental Implants, dentures, mini dental implants, Premium Comfort-Snap Dentures on November 13, 2015 by admin.